If you’re one of the millions of Americans who are concerned about their financial future and want to know what you can do today to protect your financial well-being tomorrow, you’re not alone. If you’ve ever considered investing in the stock market, this Motley Fool Stock Advisor review is for you. Where Do You Turn for Financial Advice? Isn’t Your Financial Future Worth It? There are a multitude of paths that lead to financial wealth and prosperity, but it can be difficult to discern which is the appropriate route to take and how to balance risk with reward. Many people turn to the Internet to find ideas and guidance from people we spend their lives analyzing the stock market — a form of wealth creation which, historically, has helped many people earn substantial income and grow their earnings. This is essentially the practice of buying or selling shares of publicly-traded companies; in other words, you could make money by being a fractional owner in companies like Nike, Microsoft, Apple, Netflix, and others. Of course, if you have no experience in the market, the idea of using your own money to buy shares with no guarantee of a positive return on your investment can seem scary. Like any skill or trade, it helps to get knowledge from people who have had plenty more years of experience than you. 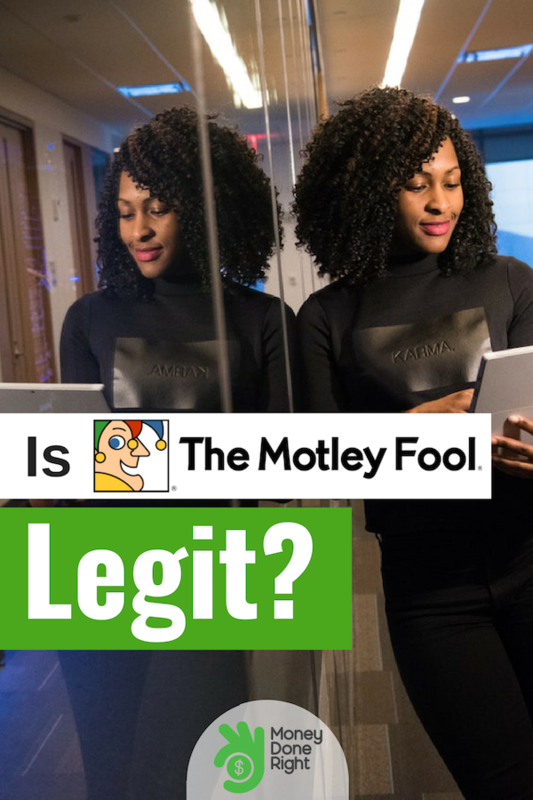 Chances are if you make a cursory Google search for something like “stock market advice”, you’ll come across a publication known as the Motley Fool Stock Advisor. The name might come across as a little bit gimmicky (after all, who wants to be the “fool” when they’re spending money? ), but the Motley Fool is actually a well-known multimedia financial-services company that has been providing financial advice for investors through a variety of stock, investing, and personal finance services since 1993. In other words, if they’ve been around long enough to see the “.com” bubble and the Great Recession, they’ve probably learned a thing or two along the way. Anyways, back to the matter at hand. 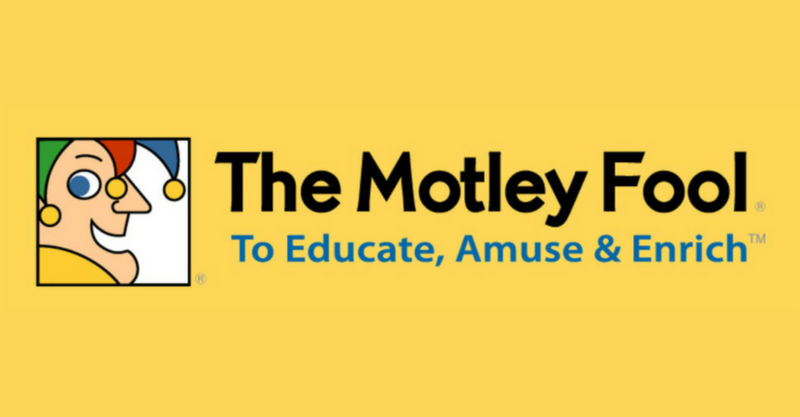 The Motley Fool Stock Advisor is essentially the Motley Fool’s flagship investing newsletter. It’s spearheaded by the Motley Fool’s co-founders Tom and David Gardner (who, as you might’ve noticed, are also brothers). When guiding people toward smarter financial investments, they encourage an approach that focuses on the long-term strategic balancing of a variety of financial instruments and securities. Click here to learn more about the Motley Fool Stock Advisor program. Monthly trends and expectations — the brothers keep up their sibling rivalry by sorting themselves into Team Tom and Team David, offering their own ideas of where the market is headed and how you might be able to take advantage of trends and projections. They pass these insights along to the reader every month as part of the Stock Advisor in the form of ten timely picks. These picks are intended to take advantage of opportunities in the market where you might get a nice return in a short amount of time — ideal for people who can afford to take more risk and go for a few extra dollars in the short-term. If slow and steady is more in your philosophy when it comes to investing in the stock market, or if you’re new to the arena and aren’t sure where to begin, the Stock Advisor also offers an annual set of recommended “starter stocks” five stocks they think new investors should make a part of their portfolio. These “starter stocks” generally follow companies and industries that have stood the test of time and are relatively well-protected and entrenched financially; you could essentially consider them a sort of “anchor” for your portfolio. Click here to discover good starter stocks recommended by Motley Fool Stock Advisor. Another big benefit of joining the Motley Fool Stock Advisor is the large, active, and vibrant community behind it. Once you’re a Stock Advisor member, you’ll get to join their exclusive message boards, where members have lively discussions about everything stock market, personal finance, you name it. Sure, you might be thinking, there are probably other websites that talk about stock market tips and advice. But the difference with Stock Advisor is that the people who are sharing that advice and discussion the latest trends our investors who probably started out just like a layman — not knowing much, if anything, about how stock markets work. Now, these members have picked up ideas and knowledge along the way, and pass it along to other members who are serious about their commitment to obtaining financial success and security. Let’s take a closer look at Stock Advisor’s track record; after all, if you’re going to follow a newsletter’s financial advice, it should at least have a track record of success, right? If you look at the Motley Fool Stock Advisor’s performance over the past 16 years, you would’ve seen tremendous growth, with picks and recommendations from the publication growing an average of 388%. To put some perspective on the kind of growth people have seen with Stock Advisor, assume you had followed Stock Advisor’s advice and invested $10,000 back in 2002. Today, that investment would be worth approximately $205,000! I don’t know about you, but that’s definitely nothing to scoff at. Let’s put Stock Advisor’s actual recommendations to the test. In May 2004, Stock Advisor recommended its members purchase an up-and-coming stock known as Priceline Group. The price of Priceline Group had its up and downs (it ultimately turned into Booking Holdings), but today it boasts a whopping growth of 8380%! If you had purchased Marvel (the company behind many popular superhero franchises like X-Men, Spider Man, the Fantastic Four, and others ) when Stock Advisor recommended it in January 2002, you would’ve seen your investment grow upwards of 5984%. As a testament to how successful Marvel becomes, it was later acquired by Disney in one of the biggest media deals ever. Stock Advisor also recommended the purchase of a humble DVD home delivery service that later exploded in growth (up 15513%!) and has become one of the biggest names of entertainment thanks to its rapid capture of the online streaming market. The name of that company? You guessed it: Netflix. This isn’t to say that every tip offered by Stock Advisor has turned out as successful — nobody is able to accurately and consistently predict what the market will do, and anyone who tells you otherwise is outright lying. However, some advisors are just more reliable than others. Stock Advisor has historically outperformed the market by a margin of 3-to-1 over the past several years, which is a lot better than the track records of some of the most experienced and season Wall Street investors. Click here to try Motley Fool Stock Advisor for yourself today. There’s a lot to like when it comes to the user experience with Stock Advisor. For example, every proposed buying opportunity is accompanied by an insightful “Buy Case” which breaks down each of the reasons why Team Tom or Team David believes you should add the stock to your portfolio. This definitely makes investing feel a lot less scary when the person recommending the stock isn’t just doing so “on a whim” or because of a “gut feeling”. Like mentioned earlier, you don’t even need a background or significant experience investing in the stock market. Sure, it definitely helps the decision-making process when you understand complex terms like alpha, resistance, and so on, but that kind of specialized knowledge isn’t necessary to reap the benefits of Stock Advisor. To make investing as simple to understand for as many people as possible, Stock Advisor attaches analyses known as “risk profiles” to everything they recommend, using plain English to explain the potential benefits or pitfalls of making an investment. However, should you want to elevate your knowledge when it comes to the world of investing and personal finance, Stock Advisor offers a knowledge base filled with a library of proprietary reports and research collected over fifteen years that is available online 24 hours a day, seven days a week, 365 days a year. With an active community and comprehensive library full of helpful knowledge when it comes to investing, a service like Stock Advisor is a great way to help you develop an investing style and figure out how you can obtain big goals in life like getting a new car or saving up enough money for a down payment on a house. The team at Stock Advisor is definitely on the ball, as well — they’re diligently monitoring the stock market 24/7 to take advantage of any sudden opportunities, and quickly share their insights with the rest of the Stock Advisor members. Of course, at this point you’re probably wondering how much a service and community like this costs to join. There are a variety of subscription options, and like with most subscription services, you get more bang for your buck the longer you stay with Stock Advisor. A basic membership costs just $19 a month; fortunately, they allow you to cancel at any time, which doesn’t make $19 seem so scary to get started. If the recommendations work for you, then great, you can commit to staying with Stock Advisor, but if after a month you feel investing isn’t for you, then you can easily walk away without having to worry about any complex or convoluted canceling fees. The best deal is their year-long membership for $99 — that calculates to about $8.25/month, which is less than half of the regular monthly subscription. This discount is even more remarkable considering the normal annual membership fee that is otherwise $199/year (50% off — nice!). If you think about it, $8.25 is about the same price as a decent meal at a fast food restaurant — if someone told you you could get some of the best investing insights in the world by signing up for a monthly subscription the price of a cheeseburger and fries, would you do it? Click here to get started with Motley Fool Stock Advisor. The team at Stock Advisor are so confident their members will enjoy their stock picks, they’ll even refund the full year membership if you cancel within 30 days — no questions asked. These generous trial periods are definitely welcome, as not all subscription services offer policies like these. We also did a bit of research and checked out reviews from other members online. You can get an amazing education thanks to the volumes of research and reports available at your fingertips whenever you want — all written in easy-to-understand language that is both simple to follow and helpful, no matter how many years you have (or haven’t) been investing. All things considered, Motley Fool’s Stock Advisor newsletter subscription service seems like a sound investment. To get started, you can visit Motley Fool’s website and begin the sign-up process. Don’t forget to take advantage of their special offer of a $19/month or $99/year membership offers — the lowest prices they’ve ever been. Although there is nobody who has a perfect track record of predicting the market, the analysts at Motley Fool Stock Advisor have definitely exceed expectations. To take charge of your financial future, sign up for Motley Fool Stock Advisor today.